The Chinese embassy in Kuala Lumpur released the song Monday on its Facebook page to commemorate 45 years of diplomatic relations between the two countries. Titled “Bahu Kiri” or left shoulder in Malay and sung in Mandarin, the lyrics speak of friendship against all odds while harking to the South China Sea as “heartrending” and reminding the two nations that they share one shoreline. “My right shoulder protects you from the wind and the rain, my left shoulder is for you to hang on to,” the song went. The timing of its release coincided with Malaysia terminating the East Coast Rail Link project with China Communications Construction Co., or CCCC, as the main contractor. CCCC took steps Thursday to rationalize its workforce following the Malaysian finance ministry’s instruction last year to suspend related contracts. 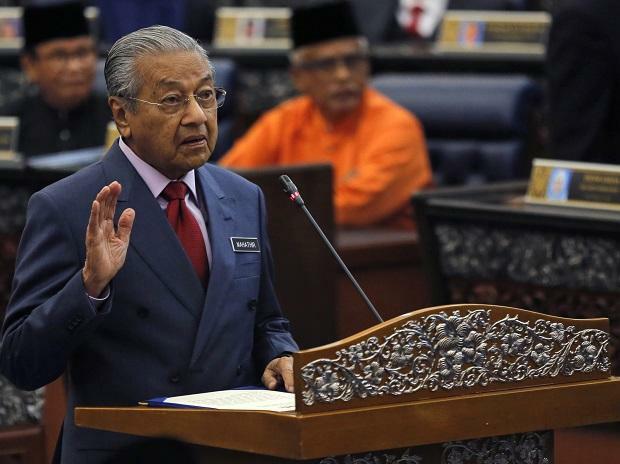 Malaysian Prime Minister Mahathir Mohamad struck a reconciliatory tone on Tuesday, saying the government’s reason for cancelling the rail was simply a lack of funds. Malaysia’s finance ministry, which is calculating the penalty payable for cancelling the contract, will give a more detailed explanation soon, Mahathir said. That may coincide with the Chinese embassy releasing the Malay version of the song, which it said would be coming soon.